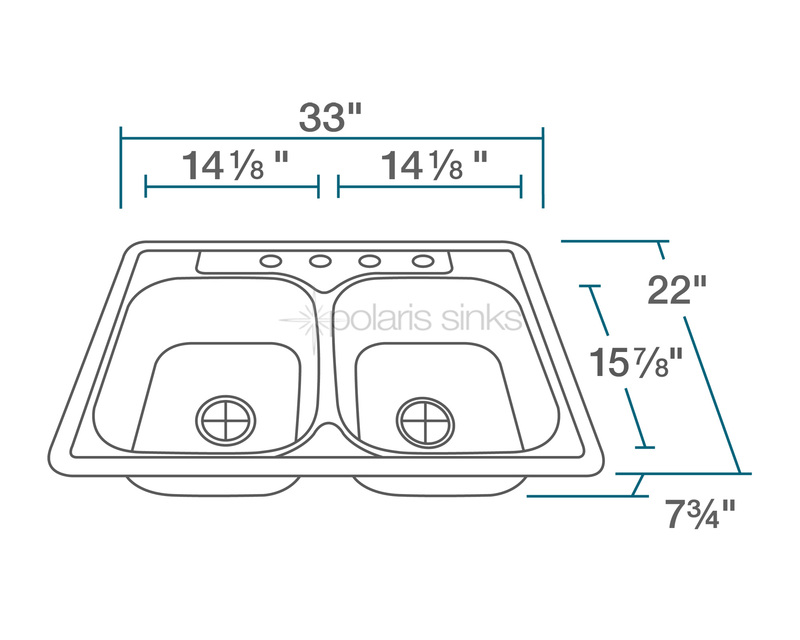 The P205T Kitchen Ensemble is the right choice when an equal-bowl, topmount sink is called for. 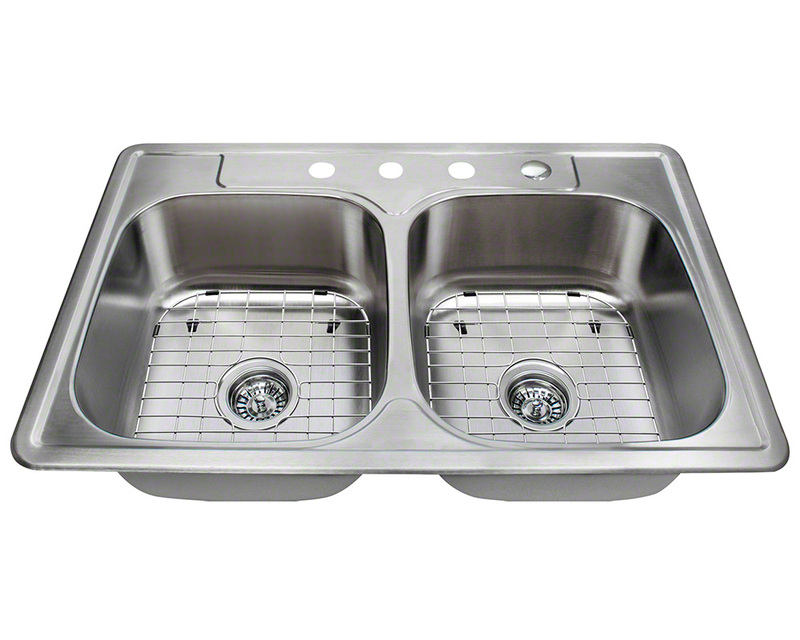 This model is constructed of 20-gauge, premium 304-grade stainless steel and flaunts broad curved corners, centerset drains and four faucet holes along the top deck. A slight ridge along the perimeter helps prevent wet counters and the brushed-satin finish is both beautiful and functional in its ability to mask minor scratches. The ensemble includes standard strainers to catch scraps, and custom-fitted, rubber-footed grids to prevent scratching of the basin. All necessary hardware, an installation template, and the Polaris limited lifetime warranty is included.